This listing was compiled by Steve Illum's class from MSU in 2008. Language and comments are as they appear in the original text. 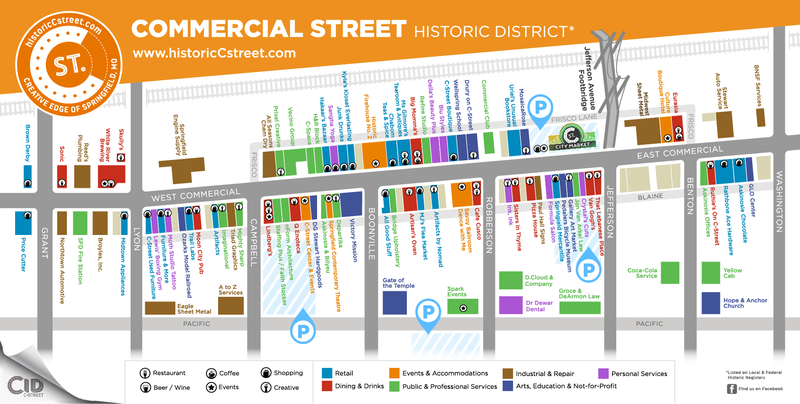 This listing includes information gathered from multiple sources about the buildings on Historic C-Street. Some information may be incomplete or unavailable. All pre-1947 street addresses have been adjusted by the Sanborn Fire Insurance Maps. The following records came from Polk’s City Directories for Springfield, Missouri (1884-1880/1900/1920-1990). Click the building block icons below to open a PDF and learn more about each block.